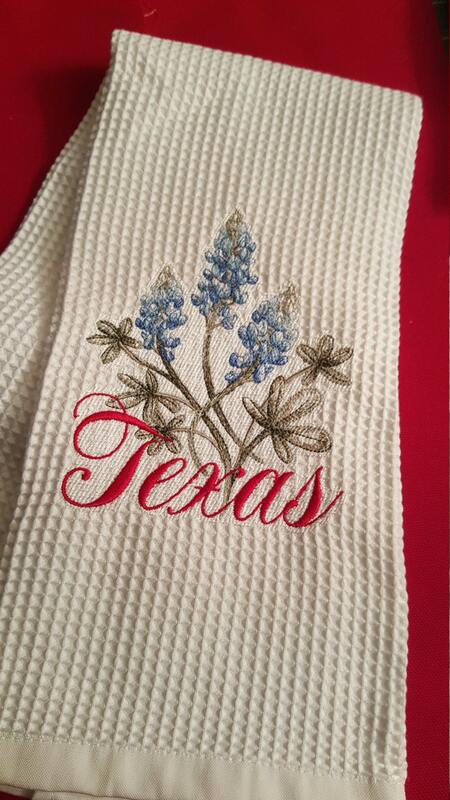 Novelty hand towel with the embroidered design of Texas with bluebonnets. The design is machine embroidered using the highest quality embroidery threads. The design is of Texas bluebonnets in four shades of blue and three shades of green. The Texas logo is scripted in bright red. These towels are essential gifts of any occasion and a special touch to any home decor for any Texas enthusiast. Our new Waffle Style Kitchen/Hand Towels is best described as "honeycomb". It's available in white, black, natural, red, green, and blue! Dress up your kitchen in these most requested colors. 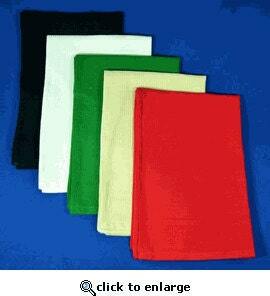 This towel measures approximately 18" by 28" and is made of 100% cotton. Design was embroidered by Special Touch Embroidery as authorized by Embroidery Library and Special Touch Embroidery. 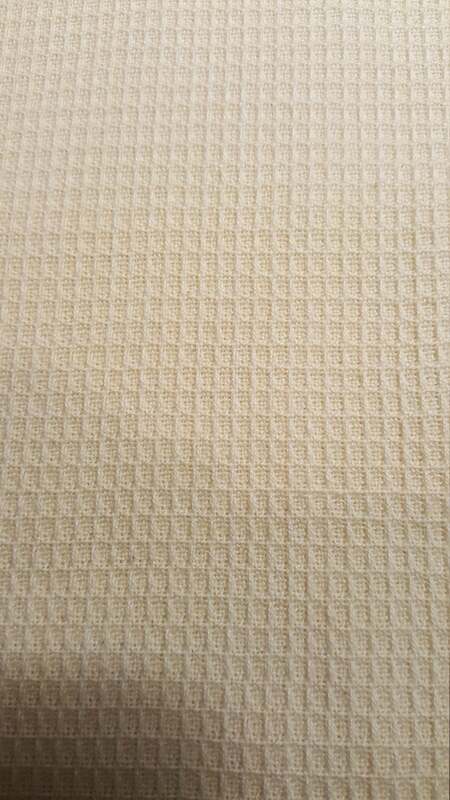 All of our products are made to order; therefore, please allow 7 to 10 days for processing and shipping. Special Touch Embroidery usually ships all products USPS Priority Mail unless otherwise specified.